It was the bell of time that played the role of informing the people of the time in the day during the Edo Era. 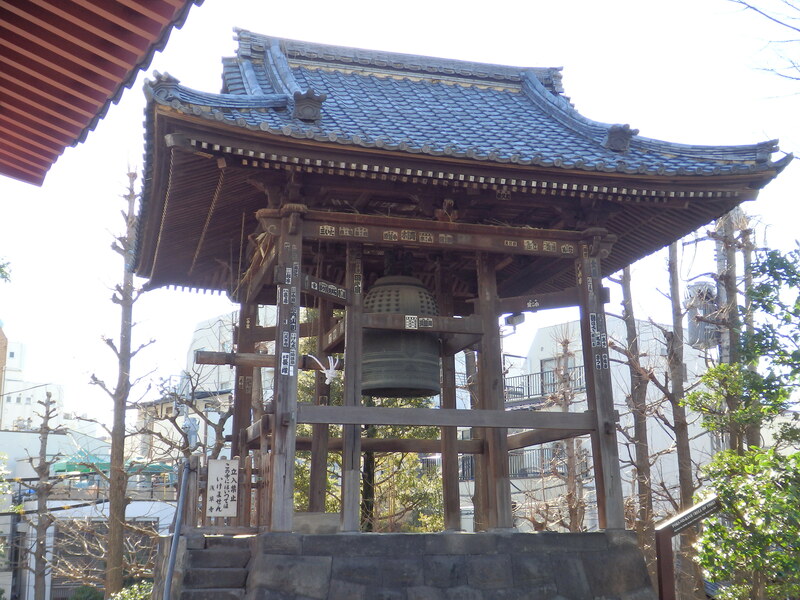 As the result of Edo’s expansion, bells came to be sounded at nine places including Nihonbashi Honkoku-cho, Senso-ji Temple and Ueno. In connection which the sound of the bells, Matsuo Basho created the following haiku. The present bell was recast under the instructions of Tokugawa Tunayoshi, the fifth shogunate, in August 1692. Measuring 2.12 meters in height and 1.52 meters in diameter, it still shows its original figure. We visit here in our Tokyo HIstorical Cycling Tour.